World leaders and international corporations expressed alarm that President Donald Trump’s administration will threaten the Paris Agreement on climate change. They are concerned that Trump will withdraw, undermining the agreement’s goal. However, America’s withdrawal is unlikely because the agreement allows Trump to not comply with the agreement without incurring sanctions. This potential scenario exposes the weakness of the agreement. To rectify this, the United Nations Security Council should enact a shame-based monitoring system to encourage compliance. The Paris Agreement is an international agreement that seeks “to hold the increase in global average temperature to well below 2 °C above pre-industrial levels and to pursue efforts to limit the temperature increase to 1.5 °C above pre-industrial levels.” As of 2016, 111 countries have ratified the agreement. Despite this monumental victory for climate change, the Paris Agreement permits countries to establish and amend their own benchmarks. Furthermore, it imposes no sanctions for non-compliance. The only monitoring requirement imposed by the agreement requires countries to review their implementation of the agreement at annual sessions of the treaty. Thus, the Paris Agreement imposes a lofty climate goal but only enforces its goal through an annual monitoring session. The minimal burdens imposed on the United States by the Paris Agreement render it unlikely that Trump will withdraw from the agreement. Foreign leaders have already warned Trump that their continued cooperation with the United States hinges on his adherence to liberal international principles. Thus, Trump’s withdrawal would not only result in fierce backlash from environmentalist groups and Democrats but also threaten relationships with allied countries. Because the agreement does not impose specific benchmarks or sanctions for non-compliance, remaining a member to the agreement would not harm the United States, even if the country does not pursue the agreement’s goal. Considering this, Trump is unlikely to withdraw from the agreement because the consequences of withdrawal outweigh the virtually non-existent costs of remaining a member to the agreement. This scenario exposes the weaknesses of the Paris Agreement: states set their own climate goals, monitoring is virtually non-existent, and states can refuse to comply without facing sanctions. Considering Trump’s denial of the existence of man-made climate change, it is improbable a Trump’s America would ratify an agreement that imposes economic sanctions on shirkers. Fortunately, international organizations provide alternative to economic sanctions that could enhance compliance with the Paris Agreement. For example, the World Health Organization (“WHO”) offers one such model. Prior to 2005, the WHO was restricted from relying on outside information about disease prevalence and was required to rely on potentially doctored reports from its member countries. After the WHO’s mishandling of the SARs outbreak in 2005, the organization amended its internal regulations to allow itself to rely on non-governmental information when monitoring and responding to health emergencies. The WHO also adopted a “focal point” within each member state to disseminate accurate information on disease prevalence and severity. The International Labor Organization (“ILO”) also provides insights on strengthening the Paris Agreement. The ILO is a platform for the creation of labor treaties, known as “conventions.” Its constitution mandates member countries to annually report the status of compliance with each convention and enables the ILO to send “shaming” letters within the organization and to noncomplying countries when noncompliance occurs. Thus, the ILO has constructed a shame-based monitoring regime. The United Nations Security Council could utilize these models to create a binding monitoring regime to strengthen the Paris Agreement. The Security Council already passed resolutions to arm a treaty with a monitoring regime. In fact, resolutions providing a treaty a monitoring regime correlated with an increase in ratification of the treaty. Thus, a Security Council Resolution could implement a more effective monitoring regime for the Paris Agreement while simultaneously bolstering ratification numbers to the agreement. The form of the resolution can be informed by the ILO and WHO models. Like the ILO, the resolution could set carbon emission benchmarks for countries and require quarterly reports of emissions from countries who ratified the Paris Agreement. To avoid falsified reports, the Security Council should follow the direction of the WHO by installing a focal point within countries to oversee environmental authorities. Failure to comply with these benchmarks would result in the ILO’s shaming reports that will be sent to other countries to update them on which countries to the agreement are shirking. This monitoring regime features both advantages and disadvantages. Its strengths lie in arming the Paris Agreement with a quarterly monitoring system and utilizing non-governmental information to obtain accurate data. This enables countries to consistently reevaluate their performance and identify shirking countries to pressure shirkers into compliance through diplomatic channels. While the use of shaming by the regime will not ensure compliance, it will impair shirking countries’ reputations and consistently remind shirking countries of their failure, encouraging compliance. Overall, this proposed shame-based monitoring systems offers an improvement over the Paris Agreement because it arms the agreement with a more frequent, less biased monitoring regime and provides it the ability to encourage compliance via shaming. 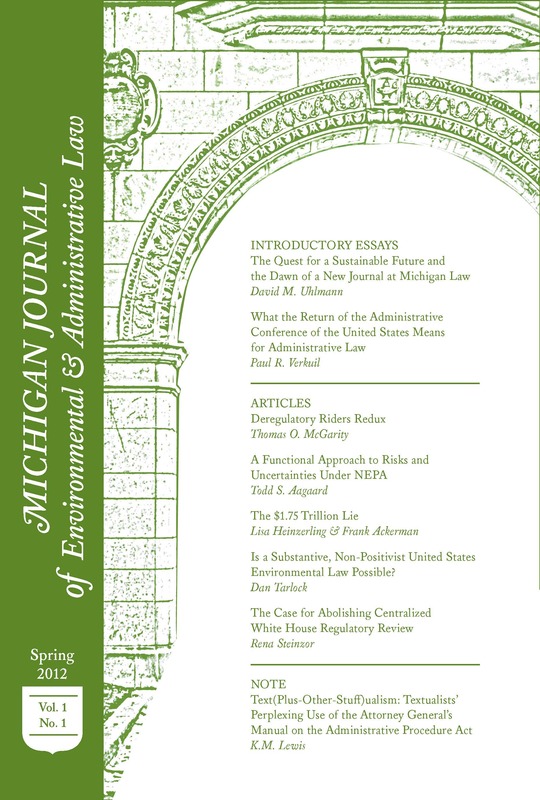 *Sean Higgins is an Associate Editor for MJEAL. He can be reached at seanhig@umich.edu. See Hundreds of U.S. Businesses Urge Trump to Uphold Paris Climate Deal, National Public Radio (Nov. 17, 2016, 11:54 AM), http://www.npr.org/sections/thetwo-way/2016/11/17/502425711/hundreds-of-u-s-businesses-urge-trump-to-uphold-paris-climate-deal; Diplomats Confront New Threat to Paris Climate Pact: Donald Trump, New York Times (Nov. 18, 2016), http://www.nytimes.com/2016/11/19/us/politics/trump-climate-change.html. Paris Agreement, The United Nations, Dec. 11, 2015, at 2, http://unfccc.int/resource/docs/2015/cop21/eng/l09r01.pdf. Paris Agreement – Status of Ratification, United Nations, http://unfccc.int/paris_agreement/items/9444.php (last visited November 20, 2016). Paris Agreement, The United Nations, Dec. 11, 2015, http://unfccc.int/resource/docs/2015/cop21/eng/l09r01.pdf. Id. at art. 16, § 4. See Angela Merkel’s Message to Trump, New York Times (Nov. 9, 2016, 9:28 PM), http://www.nytimes.com/interactive/projects/cp/opinion/election-night-2016/angela-merkels-warning-to-trump; Scottish Leader Puts Trump on Notice in Model Response to Win, The Huffington Post (Nov. 10, 2016, 3:53 PM), http://www.huffingtonpost.com/entry/scotland-leader-trump-response_us_5824a618e4b07751c390dca1. Yes, Donald Trump Did Call Climate Change a Chinese Hoax, PolitiFact (June 3, 2016, 12:00 PM), http://www.politifact.com/truth-o-meter/statements/2016/jun/03/hillary-clinton/yes-donald-trump-did-call-climate-change-chinese-h/. Const. of the World Health Org., art. 2, § c.
 World Health Org., International Health Regulations, art. 9 (2005). Const. of the International Labor Org. See S.C. Res. 1373, at 1 (Sept. 28, 2001) (providing a monitoring regime for the International Convention for the Suppression of the Financing of Terrorism). See International Convention for the Suppression of the Financing of Terrorism, United Nations, https://treaties.un.org/Pages/ViewDetails.aspx?src=IND&mtdsg_no=XVIII-11&chapter=18&lang=en (last visited November 20, 2016).